Silica Fume from stock or Special order. Fast delivery USA, Canada. 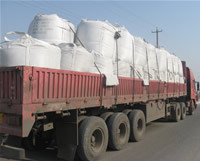 Silica fume (Micro-silica) is a mineral composed of ultra-fine amorphous spheres of silicon dioxide (SiO2), produced during the manufacture of silicon or ferrosilicon. Silica fume can be used in a variety of cementitious products such as concrete, grouts and mortars as well as elastomer, polymer, refractory, ceramic and rubber applications. • Making high crack-resistance, self-waterproofing concrete, be used in the subway, tunnel and basement of high-rise structures. • Making high-grade concrete effectively enhances the strength and pumpability of strong concrete. • Used in maritime works and chemical industry. Owing to the compactability, it can prevent effectively sulfate and chlorine ion from osmosizing and eroding. • Effects on high-early strength concrete and strong concrete. • Used in project items for water conservancy and bridge. • Used in the construction item under water, such as pier, huge dam and drilling platform. 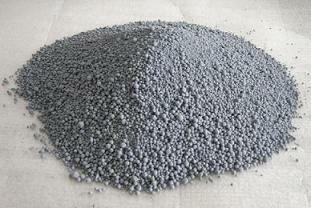 • Used in road surface concrete of expressway and large-scale bridge. • Enhancing the fluid of pouring refractory, reducing the volume of used water, be easy to shape, and raising the production efficiency. • Because of its ultra-micro structure for gap filling, the compact and intensity of refractory gain rising by a wade margin. • Silica fume is a highly effective pozzolanic material. Under the premise that Al2O3 exists, it enhances elevated temperature strength and thermal shock of refractory. Silica fume also can improve the material overall performance as filler, used in paint, coating, resin, rubber and other high molecular material.